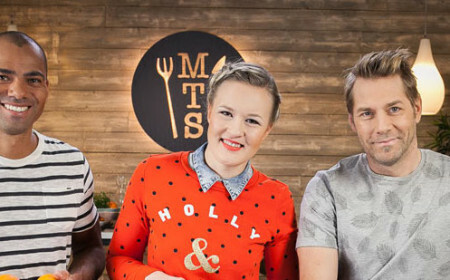 Today is the 10th anniversary of Mitä tänään syötäisiin, Intervisio’s daily food show on MTV3. The current hosts of the show are Linnea Vihonen, Harri Syrjänen and Alex Nurmi. Today’s show is the 2200th episode of the series!